Colleen and Rodney will be hosting a yoga retreat designed to rebalance both mind and body, using a fusion of ancient methods combined with their shared modern experience. This retreat features full immersion in the different asanas and philosophy of TK yoga, enveloped by the nurturing surrounds of crystalline water, white-powder sand, and COMO Shambhala’s 360-degree approach to wellness. From return airport transfers, to energy-giving COMO Shambhala Cuisine, and the soothing strokes of our signature COMO Shambhala Massage, this retreat is designed for total relaxation and rejuvenation. Parrot Cay is a secluded private island in the Turks and Caicos, an island chain in the relatively undeveloped Northern Caribbean. The island’s 1,000 acres include pristine white beaches and the opportunity to experience first-hand the rhythms of the natural world with no cars, pollution or streetlights. 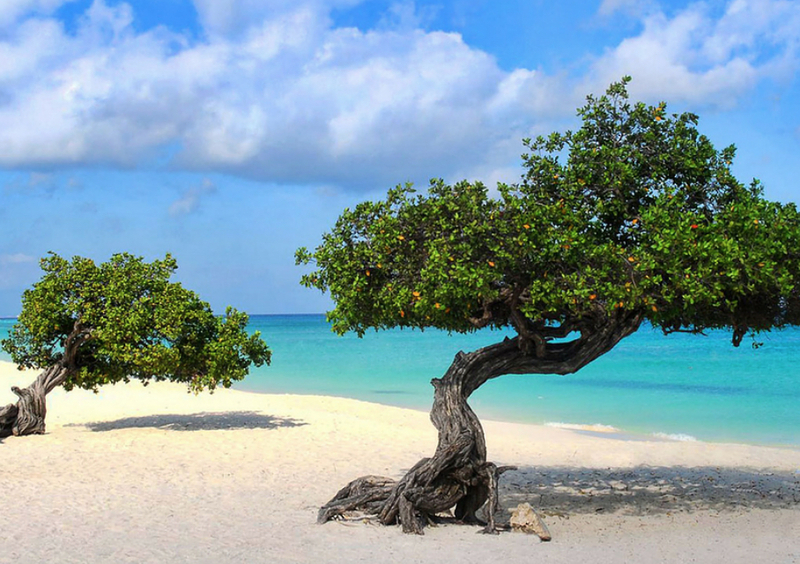 Join us for our inaugural 200-Hour intensive yoga teacher training on the beautiful Dutch Caribbean island of Aruba this Fall! Enjoy 24 days of asana practice, yoga study, social adventure, quiet time, and basking under the sun and in the sea in this paradise location! The Yoga Shanti 200-Hour Intenstive Teacher Training program is designed to immerse you into the study of yoga, enriching and strengthening your personal practice, and preparing you to teach a set of safe Shanti-style sequences in a range of categories. The group will be intimate, allowing for plenty of individual attention and mentorship, and we will guide you on establishing a strong foundation for a lifelong study of yoga. Curriculum will include cultivating a daily home practice of asana, pranayama, and meditation; teaching skills including sequencing, seeing and understanding bodies, manual adjusting, and assisting; anatomy, philosophy, and chanting. There’s nothing better than sister time. Join Colleen at the beautiful and refreshing Menla Mountain Retreat Center in the Catskills. Come together as women, celebrating the beauty in each other and in nature. Bond and shed old stories and patterns over the course of the weekend. There will be bonfires, drumming, sweat lodge, spa treatments, and of course, lots of yoga. But, most of all, we will bathe in the company of other powerful women. This annual retreat is a favorite for newcomers and returning students alike. Colleen will teach special classes moving through asana, pranayama, and meditation. There will also be plenty of time to enjoy Menla’s beautiful and amazing spa for body work, steam, and sauna. To be notified when more information about this retreat becomes available, email hamptonscreativemedia@gmail.com. Our internal conflicts, doubts, and fears eat up so much of our energy. How can we practice yoga to resolve confusion or resistance and promote equanimity and compassion every single day? Join Colleen Saidman Yee and Rodney Yee in the Redwoods of California at 1440 Multiversity to learn and practice sequences for creating tranquility in your mind, body, and heart. With more spaciousness, we have the energy to effect healing change in our world. This is the service of spirit which, as the Dalai Lama says, is the root of eternal happiness. Release old stories, increase internal spaciousness, and move skillfully with ease and compassion day to day. Through delightful insights, direct instruction, postural alignment, pranayama, and awareness meditation discover the dissolution of illusory separateness as you experience a reunification of your physical and spiritual consciousness. Over the course of this life-changing weekend, rooted in the ancient power and wisdom of asana, learn poses to free your body of old, unnecessary patterns, and break through to true personal growth and freedom. Yoga has long been recognized as a spiritual and physical journey to experience life directly and be at peace. Spend a weekend exploring asana, meditation, and pranayama. We start with practices designed to slowly open the body, and then turn up the heat with asana. Finally, we cool down with restorative poses, pranayama, and meditation, leaving the body stretched, happy, and relaxed. Through our practice, we also enhance our natural physical rhythms while learning how to listen to our body. We explore practices to release tension and restlessness so we can be present in our life with vigor and a sense of calm. Join Colleen Saidman Yee and Rodney Yee in Rhinebeck, NY (from October 25th to October 27th, 2019) for this special weekend. Join Colleen and an intimate group of women in Tulum, Mexico, for her exhilarating and rejuvenating annual retreat where we will bask in the feminine: ocean, sand, sun, and yoga! The retreat includes morning and afternoon yoga classes and three meals per day (except for one night, when you can venture out to enjoy the local fare). Arrive at Amansala by mid-afternoon on Friday, March 8th. The retreat starts on Friday evening with a welcome yoga class and group dinner. The retreat ends on Wednesday, March 13th, after an early morning yoga class and breakfast. Saturday through Tuesday there will be two yoga classes per day. Amansala Eco-Chic Resort is located in Tulum, Mexico, 90 miles south of Cancun on the Yucatan Peninsula. Book flights into Cancun International Airport. We will help to coordinate transportation from airport to Amansala (price depends on number in car/van, and ranges from $135 for one person to $40 per person for 6 or more). For general information on Amansala (photos, spa offerings, etc.) please visit amansalaresort.com. Please contact Lisa Olsen by e-mail at lisa@redmountainmedia.com or phone (575-770-2379) with any questions and to confirm availability of your rooming preference. Once your rooming request has been confirmed, full payment is due to secure your reservation. We cannot hold spaces/rooms until we have received payment. Payments can be made by credit card over the phone, or checks mailed to Yoga Shanti, Attn: Tulum Retreat, P.O. Box 2642, Sag Harbor, NY 11963. How do we utilize our practice as a way to deal with our everyday needs? Learn simple sequences to release stress, focus your mind, balance your body, and listen deeply. As we practice to minimize our fear and ground into the present moment there is a beauty that arises like a phoenix from the ashes. The essence of joy is spontaneously revealed. Come release some of the illusionary bonds that fatigue you and hold you hostage as we relax to the present unfolding. Asana, pranayama, meditation, and philosophy will be our tools of liberation. For all levels. Join Colleen and Rodney at Kripalu for this inspiring workshop: Yoga Solutions Vital Sequences for Every Day. Click here to view the full schedule. Program begins Friday 7:30–9:00pm, continues Saturday from 8:30–11:30am and 1:45–3:45pm, and ends after a 9:00–11:00am session on Sunday. A stay at Kripalu immerses you in an experiential curriculum designed to bring vitality to your life from the inside out. While you are here, we invite you to enjoy daily yoga classes, our world-class natural-foods cuisine, Healing Arts, hiking and walking trails, a lakefront area, sauna, a labyrinth, and extraordinary views—all in the natural beauty of the Berkshires of western Massachusetts. We have found the perfect paradise for our fall yoga retreat this year in Portugal. When the sun is low and before the holidays grab your attention, we can commune and find peace in the beautiful wine country of Portugal. The retreat will feature four hours of yoga each day, and when we aren’t on the mat we will be tasting wine, rolling down the river, shopping in Porto—the fashion capital of Europe, only 50 minutes away—or carousing the gorgeous hills and the enchanting nearby villages. It is the perfect retreat to wind down your year in luxury and relaxation. Six Senses, our retreat location, also hosts one of the the best spa treatment centers in the world, comprising 10 treatment rooms, a heated pool and a gym, and offers a range of locally-inspired therapies. This promises to be one of our most highlighted yoga retreats ever! There’s nothing better than sister time. Join Colleen at the beautiful and refreshing Menla Mountain Retreat Center in the Catskills. We’ll come together as women, celebrating the beauty in ourselves, each other, and in nature. We will bond and shed old stories and patterns as much as possible over the course of a weekend. There will be bonfires, drumming, sweat lodge, spa treatments, and of course, plenty of yoga. But, most of all, we will bathe in the company of other powerful women. This annual retreat is a favorite for newcomers and returning students alike. Colleen will teach special classes moving through asana, pranayama, and meditation. There will also be plenty of time to enjoy Menla’s beautiful and amazing spa for body work, steam, and sauna.